Documentary evidence has revealed that there was a garden at the time of the Baylys but it's exact location is uncertain. In the 17th century the area where the garden is now was likely to have been occupied by sheds and outbuildings. It is also likely there was a garden further up, near where the original burgage plot terminated, which is now lost under housing. A new garden has been created. Designed by Jeffrey Galvin-Wright, its construction and planting were carefully researched to be as close as possible to the style of a formal yet utilitarian garden belonging to a Puritan family as it might have existed in the mid to late 17th century. The garden was completed in September 2007 and opened by Sir Roy Strong, the distinguished art historian and writer, who is one of the patrons of The Merchant's House. Information boards available in the garden give planting details. The planting includes green vegetables, culinary and medicinal herbs, soft fruits, box hedging, ornamental shrubs and fruit trees. 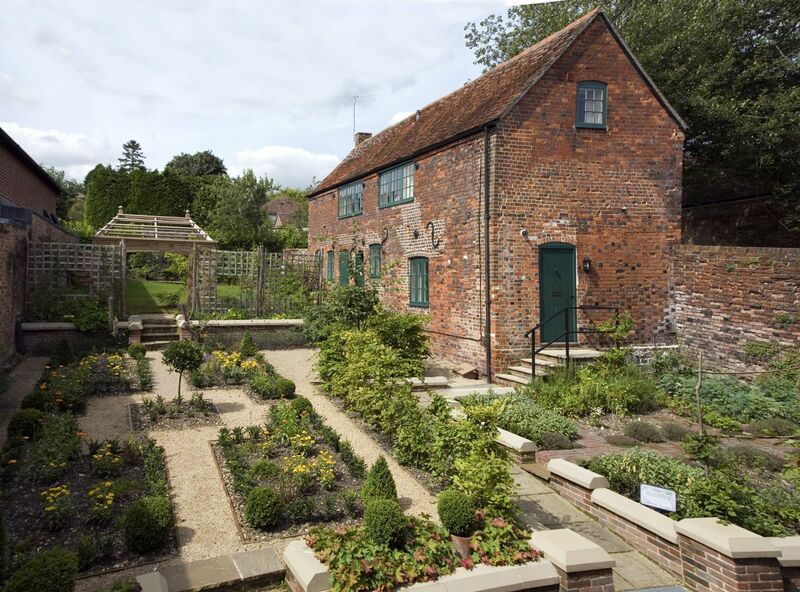 The finished garden offers visitors to the Merchant’s House a chance to see how a 17th century Town House garden might have looked, positioning the Merchant’s House in context. It can be visited as part of a tour of the House, or by groups by special arrangement. For more information go to our visitors page.